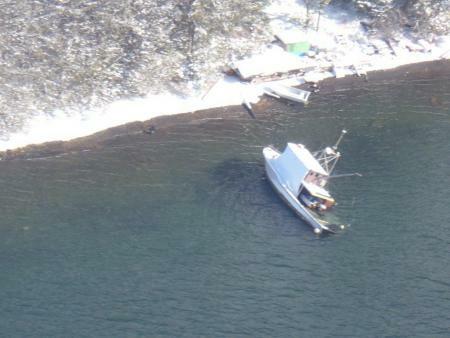 On March 9, the 51 foot long former fishing vessel Tempest went ashore in the Prince William Sound near Ellamar, Alaska. The Tempest was being used as a barge to shuttle supplies and lumber when it was intentionally beached by its crew after the vessel developed a leak. No reports of injuries. A 100 foot long oil sheen formed around the vessel as the vessel’s fuel tank was damaged in the grounding. Reports state the vessel had some 30 gallons of diesel fuel on board at the time. The Coast Guard has dispatched a team to monitor the situation. The incident is under investigation.